You have a choice when selecting a real estate firm to represent your interests. Whether you are buying or selling, Tahoe Real Estate Team would like to be your choice. 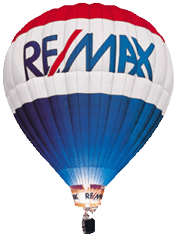 At RE/MAX – it’s about you! Our focus is on you as our customer – your needs, your expectations, your understanding and comfort in the process. You have our promise of personal and caring service to respond quickly to your needs and requests. It is our desire that you have a positive experience with our team and develops a long term relationship, so you will always think of us when you have a real estate need. Our team believes the environment and the economy go hand in hand. We live and work in some of the most beautiful areas in the world and it is our desire to share the opportunities available with our clients. We have been certified from the institute for Luxury Home Marketing and are experienced in high-end luxury home sales, as well as in working with first-time buyers, developers, down-sizers, investors and relocation. Current-2005 I received Prestigious 100% Club award for outstanding sales. This award goes to the top 10% of all RE/MAX agents.